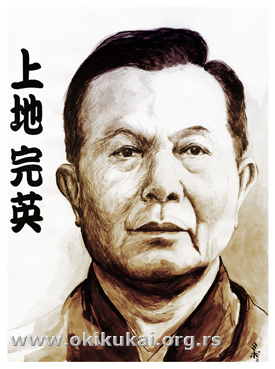 OF "TIGER, CRANE AND DRAGON"
One of the most famous and the most original system of the KARATE-DO is the system of "tiger, crane and dragon." This system was brought to Okinawa from the Southern China by the famous Master Uechi KanbunI (1877-1948). 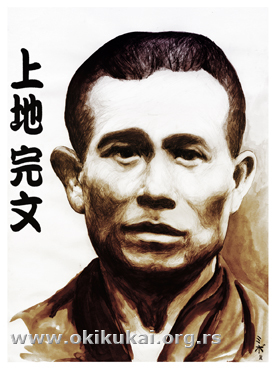 Uechi Kanbun was practicing under the supervision of the Taoist priest Shu Shi Wa (1874-1926) for 10 years. 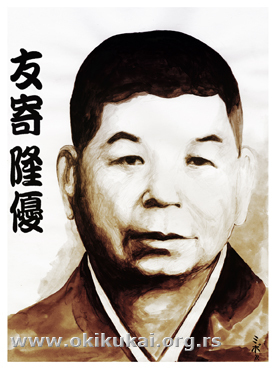 His own dojo in China was founded in 1907 but remained open only for 3 years. He was returned to Okinawa in 1910 and migrated to Japan in 1921 in the region of Osaka (the town of Wakayama). In Wakayama, Kanbun started teaching only his fellow countrymen from Okinawa. In 1947 he moved to the island of Ishima, near Okinawa, where he died a year later. 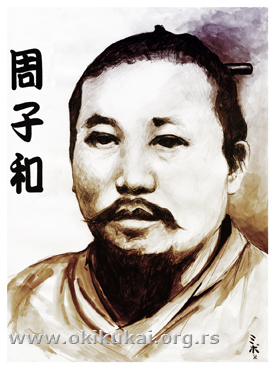 The first student Uechi Kanbun sensei in Japan was Master Tomoyose Ryuryu , and later and odest Kanbun's son Kanei who superposed and shaped the system. Uechi Kanbu's KARATE system is today practiced within several associations inOkinawa. All of these organizations have retained the same base of their RYUHA, whose development contributed towards creation of the several independent administrative bodies.